Cambodia’s first foray into martial arts movies makes us excited for more to come from Cambodia. This is what happens when two diabolical clans go to war, Shaw Brothers style! An excellent Wu Jing performance surrounded by a terrible Wu Jing performance. 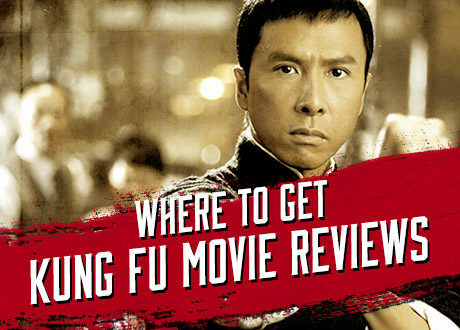 Where does a kung fu fan go to find kung fu movie reviews? Hint: it’s not Rotten Tomatoes. Mr. Vampire is back, but how does this one stand up to other Mr. Vampires? What makes a forest delightful? Chang Cheh teaming up with Ti Lung? Halloween is coming up, and it’s the perfect season for watching these top “Jiangshi,” or “hopping vampire” movies. What happens when you team up Eddie Peng, SHAOLIN’s Benny Chan and legend Sammo Hung? A surprisingly disappointing film. The deadliest weapon in wuxia returns in the epic Shaw Brothers’ movie FLYING GUILLOTINE 2. In commemoration of the third Ip Man movie IP MAN 3 (Releasing in the US January 22, 2016), I’ve compiled a list of all Ip Man movies and ranked them accordingly.